Banking services have advanced to a point where most transactions can be conducted online and fuss-free. With new emerging technologies set to tap into the global financial markets, DBS Bank, Singapore’s leading bank and financial services group in Asia, has set their sights to keep up with the changing times. As part of that effort, and in partnership with the Info-communications Media Development Authority, DBS recently launched the Skill Enhancement Education & Development Programme (SEED), an initiative set to build up a future-ready workforce of tech-savvy innovators. The highly-selective program involves 12 months of training and mentorship, and the first batch of graduates started in 2017. Since announcing the programme, DBS has received about 2,800 SEED applications. Applicants must go through numerous tests covering mathematics, logic, coding, and psychometric evaluations, and those who pass are called in for an interview. Among the successful applicants were Farris Chua and Izak Foong, both 2017 Bachelor of Science in Computer Science in Real-Time Interactive Simulation (BSCS RTIS) graduates. 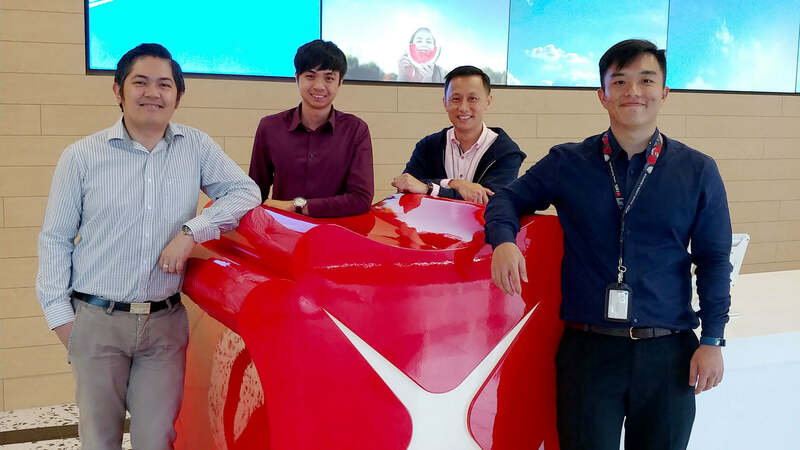 Both DigiPen (Singapore) graduates first heard of the DBS SEED programme via Facebook, but their motives in applying were different. Through the course of his studies, Farris says he came to realise he did not want to work in the games industry and was instead looking towards software development at large. “The SEED programme appealed to me because of the DBS brand. I wanted to learn as much as possible and in a stable work environment,” said Farris. The two alumni recounted their experience with the demanding technical test, saying they both had doubts after completing the test itself — despite being knowledgeable. The tech test consisted of both multiple-choice and code-solving questions where applicants answered as many questions as they could. Izak mentioned that he was surprised there were questions regarding assembly language, a low-level programming language rarely used in recent software development. Nevertheless, they pulled through the challenge and were both called back for an interview, after which they were accepted into the SEED programme. Farris belongs currently to a team that works on an open-source search engine called Elasticsearch. Based on Apache Lucene, Elasticsearch is used by DBS’ development and operational teams to look up data and statistics in a visual manner. “The Java and C++ I learnt during my education at DigiPen has helped with my Elasticsearch project,” he said. Izak, on the other hand, is working on DBS’s online marketplace. “This was the first time I was working on a full-stack web application. I received training at DBS on front-end Angular framework and back-end NodeJS,” he said. Farris encouraged other juniors to consider alternatives to working in the game industry, as they’ll ultimately have more opportunities from which to choose. “I think that the juniors should keep their options open,” he said.